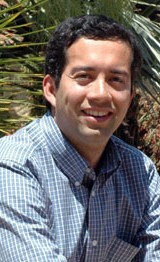 His research interests lie in the development of numerical methods and models for massively parallel computations of fluid mechanics problems on modern computing architectures, including GPUs. He specifically focuses on high-order accurate finite difference/volume/element and spectral methods desgined for robust, accurate and efficient simulations. With his codes, he investigates the basic physics of multiphase flows, high-speed flows and shock waves, turbulence and mixing, interfacial instabilities, complex fluids and plasmas. Target applications include biomedical engineering, energy, aeronautics and naval engineering. Time sequence showing turbulent mixing between two fluids of different densities. Vortical structures colored by density highlight how the mixing region grows while the turbulence decays. 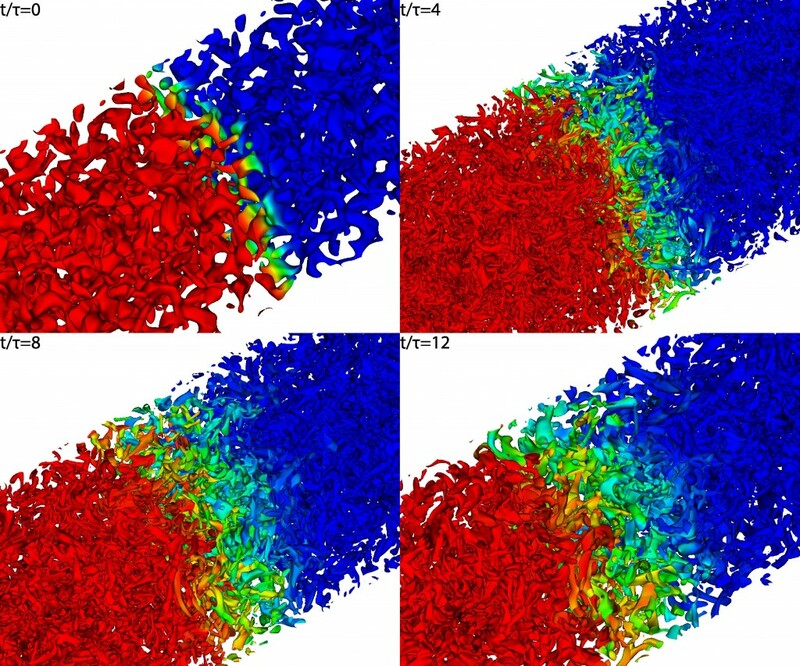 The results are obtained using direct numerical simulation (DNS), in which all dynamical scales are resolved.